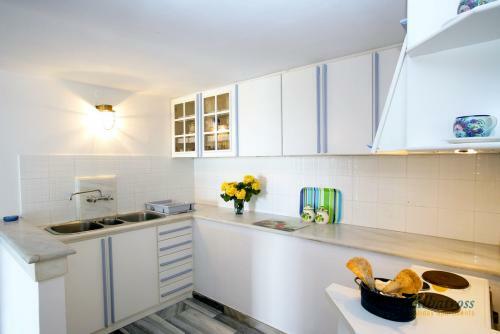 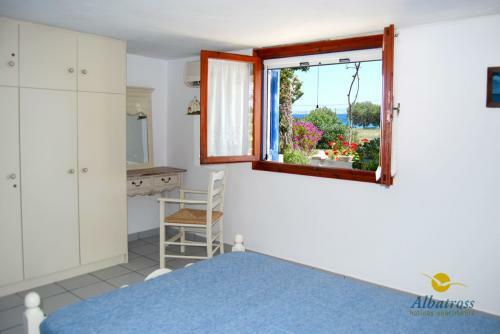 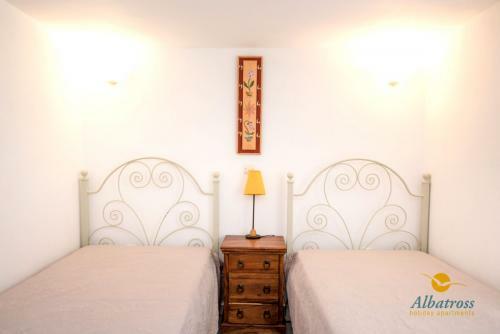 Large two-bedroom apartment: one bedroom with a double bed, one bedroom with two single beds. 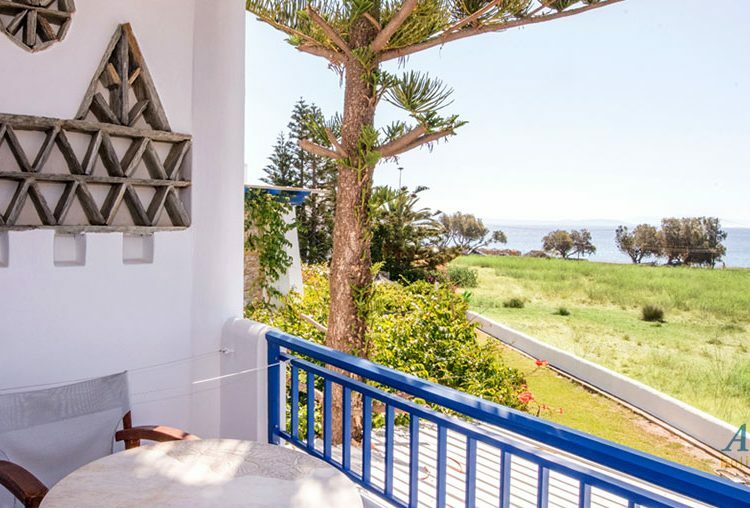 Separate living-room with a built-in bed, kitchen & dining area, bathroom, spacious terrace with sea views and direct access to the garden. ALBATROSS APARTMENTS complex consists of five newly built traditional houses. 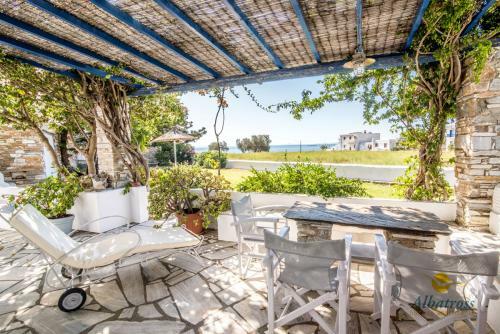 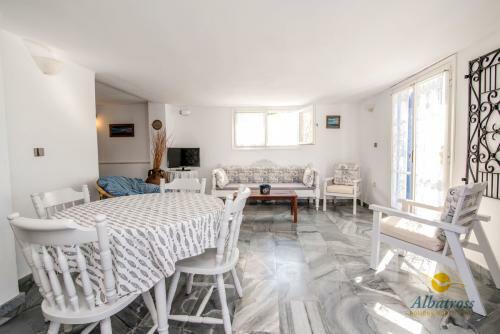 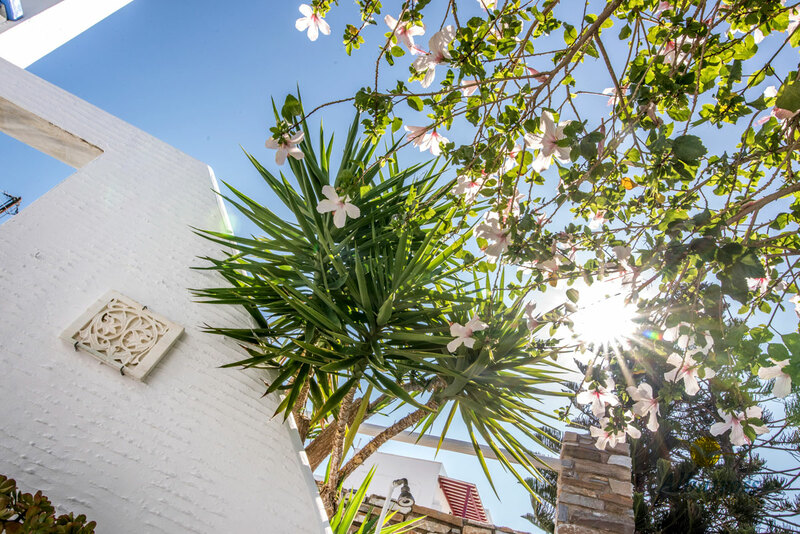 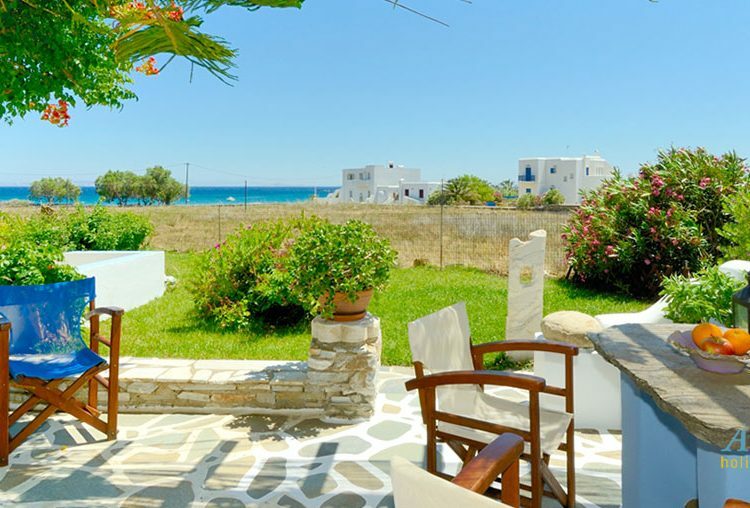 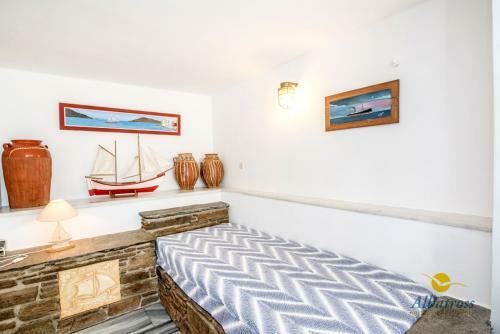 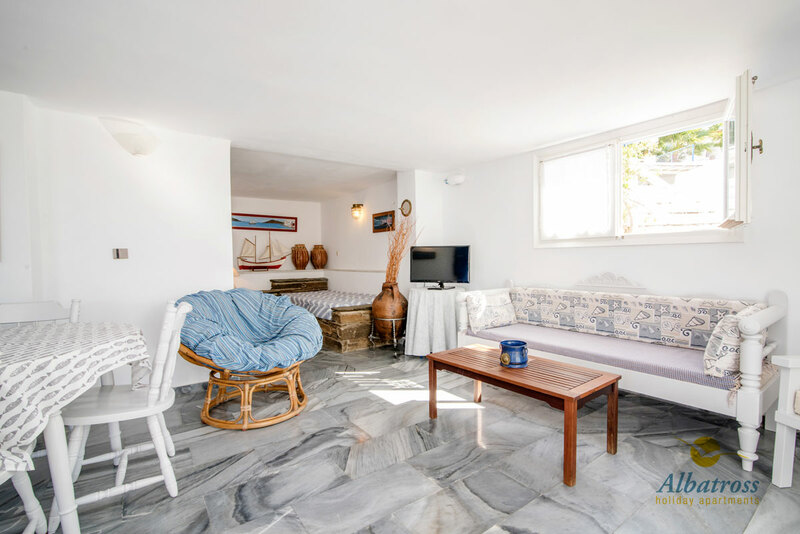 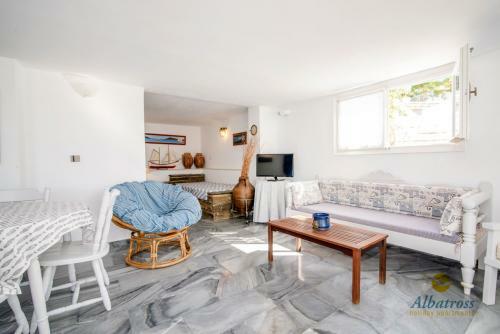 It’s a typical example of cycladic architecture and culture, as all of its courtyards and interiors are adorned with Tinian marble, marvelously carved by local craftsmen. 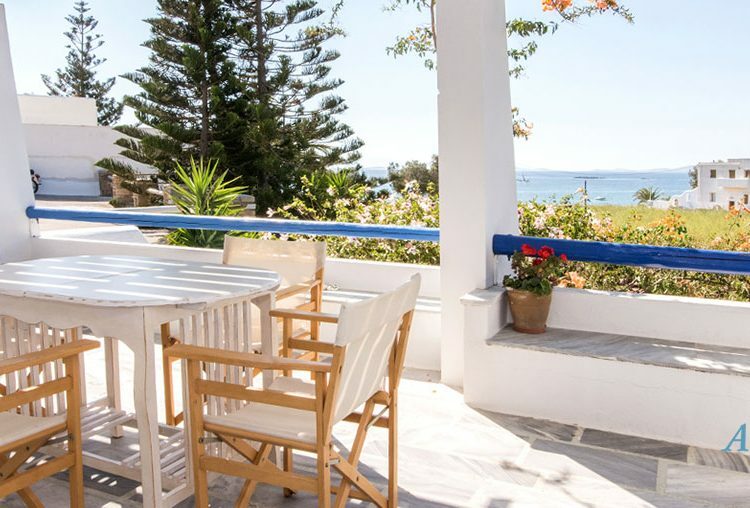 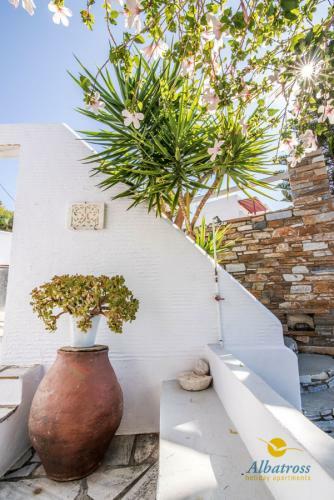 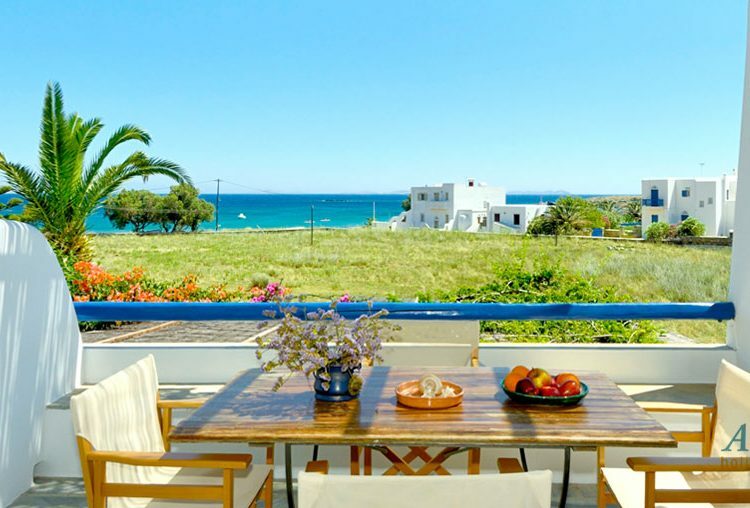 A wide variety of colors and perfumes emanating from courtyards and flowerbeds create the ideal setting for you to enjoy the spectacular views of the islands of Mykonos and Delos, from your apartment.